Former British prime minister Tony Blair recently issued a stinging public criticism of Jeremy Corbyn, his successor as Labour Party leader, for tolerating anti-Semitism. The truth is that Corbyn has been an overt anti-Semite for decades. What’s new, though, is that in the UK’s present political environment, Corbyn can not just get away with such behavior, but can prosper by doing so. Ironically, that’s the case at least in part because, when in office, Mr. Blair deliberately transformed the British electorate by allowing in millions of South Asians and others, many of whom embrace inherently anti-Semitic Sharia-supremacism. Unfortunately, similar forces are now at work in the United States, as well. The anti-Semitism of the “Red-Green axis” personified by the newly elected Somali Rep. Ilhan Omar is an ominous warning of what similar demographic changes portend for our country’s values and policies, too. A civilization based on rage and hate. TEHRAN, Iran — Iran on Friday started celebrating the 40th anniversary of the country’s 1979 Islamic Revolution that toppled the US-backed shah, overturned 2,500 years of monarchical rule and brought hard-line Shiite clerics to power. The climactic events that year in Iran — where footage of revolutionaries in the streets gave way to black-and-white images of blindfolded American hostages in the US Embassy hostage crisis months later — not only changed Iran’s history but also helped shape today’s Middle East. The anniversary starts every year on February 1 — the day Ayatollah Ruhollah Khomeini returned home from France, after 14 years in exile, to become the supreme leader of the Islamic Republic of Iran. Across Iran, sirens rang out from trains and boats and church bells chimed at 9:33 a.m. Friday — the exact time Khomeini’s chartered Air France Boeing 747 touched down 40 years ago at Tehran’s Mehrabad International Airport. The 10-day anniversary festivities, known as the “Ten Days of Dawn,” end on February 11, the date Shah Mohammad Reza Pahlavi’s government collapsed after brief clashes between some units of the army and revolutionary gunmen and following nationwide protests. In memory of those events, car drivers turned on their headlights and honked in celebration as helicopters dropped clusters of flowers along the 21-mile route from the airport to the Behesht-e-Zahra cemetery in southern Tehran where Khomeini made his first speech back home and where his tomb stands today. As part of the celebrations, many Tehran buildings, mostly of government institutions and offices, dawned on Friday draped in the colors of Iran’s green-white-and-red flag while multi-colored lights decorated the main streets…. EDITORS NOTE: This Jihad Watch column with images is republished with permission. The featured photo is by Keith Zhu on Unsplash. This judge is on the right track. Verses from the Quran and Hadiths underlay all the actions of Islamic supremacists and jihadists, who are loyal to the Sharia above all else and aim to subvert free societies. This obvious fact continues to be ignored by Western leaders who are too timid to about offending the new Sharia police that wield de facto power over the public discourse in the West. Meanwhile, many mainstream Muslim leaders routinely practice taqiyya and deceive intimated Westerners. The Quran also contains many other belligerent verses, as well as anti-Semitic messages, calls for the killing of gays and apostates, teachings about the inferiority of women, and more. (2:191) And kill them wherever you overtake them and expel them from wherever they have expelled you, and fitnah is worse than killing. And do not fight them at al-Masjid al- Haram until they fight you there. But if they fight you, then kill them. Such is the recompense of the disbelievers. That the Arab Muslims were not actually “expelled” is not relevant as far as Hamas is concerned; they insist they were expelled, and so this verse applies. (5:33) Indeed, the penalty for those who wage war against Allah and His Messenger and strive upon earth corruption is none but that they be killed or crucified or that their hands and feet be cut off from opposite sides or that they be exiled from the land. Read in the context of 5:32, 5:33 is a warning to the Jews. (5:63) Why do the rabbis and religious scholars not forbid them from saying what is sinful and devouring what is unlawful? How wretched is what they have been practicing. (5:64) And the Jews say, “The hand of Allah is chained.” Chained are their hands, and cursed are they for what they say. There are many others, including 5:82, which says that the Jews are “the most intense of the people in animosity toward the believers.” Still, people believe Hamas affiliates such as CAIR, which are actively engaged in “anti-racism” initiatives and even ally with Jewish groups. And CAIR and its allies charge “Islamophobia” against anyone who brings up these uncomfortable Quran passages. Instead of condemning violent, hostile and abusive Quran passages, Muslim groups in the West insist that “Islam is a religion of peace” and that jihadists have misinterpreted Quran verses and they then they proceed to scream “Islamophobia” when the heat is turned up. They are bent on minimizing the truth about the Sharia and in so doing, aids it unimpeded spread. There is a reason why mainstream Islamic groups do not condemn jihad; all of the actions of Hamas; the calls to murder gays in many mosques; the “Islamophobia”-pushing Recep Tayyip Erdoğan with his solid backing from Hamas; the many venomous proclamations of the foremost Islamic scholar Yusuf al-Qaradawi; other Islamic scholars and luminaries who advocate the death penalty for gays and apostates and teach the inferiority of women; the deeds of major Islamic states including Saudi Arabia, Iran, Qatar, Pakistan and others, which not only implement abusive verses of the Quran domestically, but also export the jihad ideology worldwide; and the like. That reason can be found in all the supremacist, hateful, and violent teachings in the Quran. Those teachings make large-scale Muslim integration in the West unlikely to happen. A case in point comes in the standard reply from Keysar Trad, founder of the Islamic Friendship Association of Australia. In response to Judge Fagan, Trad that said “imams continued to disavow violent interpretations of sections of the Koran.” Really? We continue to be extremely vocal in countering that. As much as we can find an opportunity to put the correct context to these situations, we do……The underlying premise of Islam is peace and peaceful encouragement for people to do what is right. Yet somehow jihadis worldwide continue to “misunderstand” the Quran. “Terrorists’ reliance on verses of the Koran to support an Islamic duty of religious violence has been seen with more or less clarity in a number of NSW and Victorian cases,” he added. 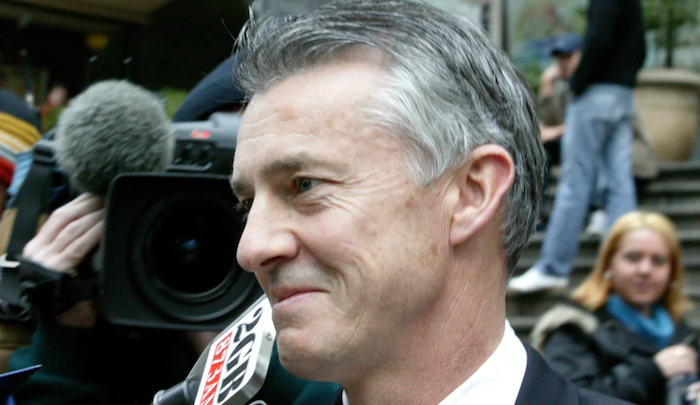 “If Australian followers of the religion, including those who profess deep knowledge, were to make a clear public disavowal of these verses, as not authoritative instructions from Allah, then the terrorists’ moral conviction might be weakened.”…..
Pope Francis has made it a personal duty to be defender of Islam, and less than a week ago, he stated that “fear of migrants is making us crazy.” Now the Pope has issued a new, astonishing statement, saying that “a ruler must use prudence, because prudence is the virtue of those who govern.” Yet this prudence has been the focus of so-called populists who opposed the reckless immigration policies the Pope has so often endorsed. Pope Francis stated that Sweden is “an example of a country that had accepted many migrants in the past but realized recently that the migrants coming in were becoming ghettoized rather than integrating in Swedish society.” The Pope further stated that “unassimilated migrants can lead to a dangerous ‘ghettoization’, which is bad for the migrants themselves as well as the nation.” The Pope is now praising Sweden’s moratorium on immigration, after being for a considerable period one of the foremost defenders of open borders, despite not himself leading by example and opening the doors to the Vatican to everyone. 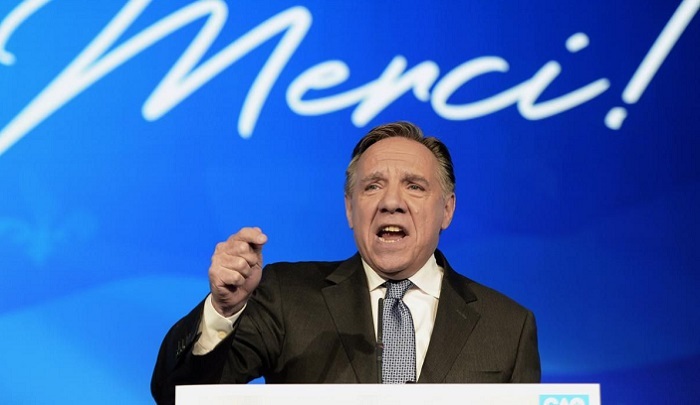 Now he has inexplicably made a U-turn, recognizing that the refusal of many Muslim migrants to integrate is indeed a problem, however he may ultimately minimize the seriousness of that problem. The Pope has good reason to change his tune. “Rising numbers of mostly Islamic immigrants in Sweden had led to the development of Muslim-controlled ‘no-go zones’ where law enforcement fears to enter,” and where 80% of Swedish police want to quit over the dangers Muslim migrants pose to their safety. Countries that are unable to assimilate migrants should stop accepting more until they are able to integrate them, Pope Francis told reporters on the papal plane Monday. The pope put forward Sweden as an example of a country that had accepted many migrants in the past but realized recently that the migrants coming in were becoming ghettoized rather than integrating in Swedish society, and so put a moratorium on accepting more. “A ruler must use prudence, because prudence is the virtue of those who govern,” Francis told reporters during a press conference returning from Panama. “I am reminded of the example of Sweden, which took in many migrants escaping from dictatorships in Latin America in the 1970s, but all of them were integrated,” he said. “But last year the Swedes said stop for a while because we are unable to finish the integration process. And this is the prudence of the ruler,” Francis said. While praising the “generosity” of nations such as Italy, Greece, and Lebanon in receiving migrants and refugees, the pope said that more “realism” was needed. Despite the pope’s well-known vocal advocacy for immigration, this is not the first time he has suggested that there are important limits. Returning from Sweden itself in November 2016, Francis suggested that playing host to unassimilated migrants can lead to a dangerous “ghettoization,” which is bad for the migrants themselves as well as the nation. On that occasion as well, the pope counseled prudence in determining how many migrants should be received by a given country. 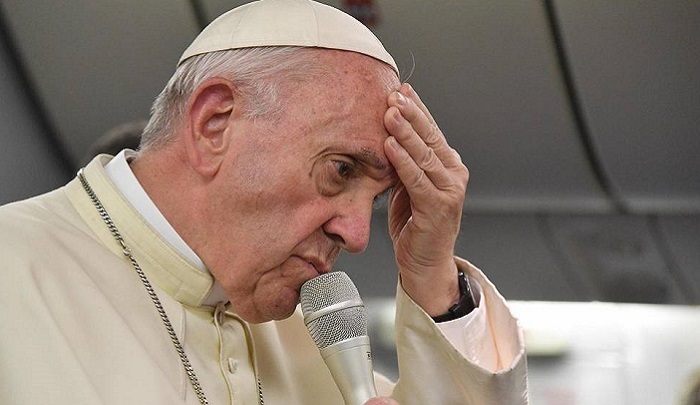 The pope’s words followed on a meeting with an unnamed government official who informed Francis that Sweden was experiencing difficulties integrating the large numbers of migrants who are arriving into the country……. It is a consummation devoutly to be wished. Let’s hope his assurance translates into real and effective assistance for genuine opponents of the Islamic regime in Iran. 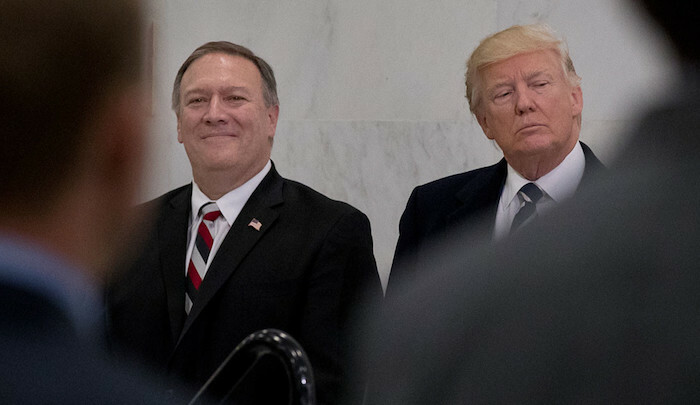 RIYADH, Saudi Arabia—Following meetings with top Saudi Arabian leaders in the country’s capital on Monday, Secretary of State Mike Pompeo said that one of the Trump administration’s top regional goals is to “make sure that the Iranian people get control of their capital,” a shot across the bow to a ruling regime that has spent billions to beef up its foreign military and terrorist operations. Pompeo, speaking to reporters in Riyadh, said that the Trump administration’s primary goal is to empower the Iranian people to rein in the ruling regime, which has spent a fortune on foreign wars and terror operations as its own people suffer from a collapsing economy. While the administration has been careful to avoid characterizing its policy as regime change, it has become clear that it does supports efforts by the Iranian people to end Tehran’s expansionist march across the region, particularly in Syria and Yemen. The administration also has stated that it opposes the hardline regime and would offer its support to opposition elements in the country. “Our effort is to make sure that the Iranian people get control of their capital, and it becomes a nation that is normal and is not conducting terror campaigns that are unrivaled any place else in the world,” Pompeo said. This set of priorities was raised in private meetings between Pompeo, Saudi King Salman bin Abdulaziz Al Saud and Crown Prince Mohammed Bin Salman. 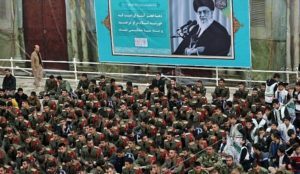 Asked by the Washington Free Beacon if empowering the Iranian people amounts to a sort of passive backing for regime change in Tehran, officials made clear that the United States has no interest in taking the lead in such efforts. Rather, the Trump administration is working to build a coalition of Arab and European allies who can confront the Islamic Republic. One piece of this effort includes convincing the Iranian people that their government’s financing of terrorism and foreign wars is preventing ordinary citizens from seeing their country’s economy rebound. U.S. and European economic sanctions, officials say, have decimated the Iranian economy and helped to stir popular protests across Iran. “The end goal is to convince the Iranian people that America is serious about empowering them and creating opportunity for the Iranian people” to confront the regime about their anger over a foreign policy that spends billions on war and terror, Pompeo said in response to questions from the Free Beacon and other news outlets…. EDITORS NOTE: This Jihad Watch column with images is republished with permission. The feature photo is by Mohammad Gh on Unsplash. Why not? When is the EU going to acknowledge that the Islamic Republic of Iran is a criminal regime that they should not be propping up? Probably only when it’s too late. The EU hit Iran’s intelligence services with sanctions Tuesday after accusing Tehran of being behind plots to assassinate regime opponents on Dutch, Danish, and French soil. “Very encouraging that (the) EU has just agreed on new targeted sanctions against Iran in response to hostile activities and plots being planned and perpetrated in Europe, including Denmark,” Danish Prime Minister Lars Lokke Rasmussen said. The “EU stands united — such actions are unacceptable and must have consequences,” he tweeted. France last year imposed sanctions on two suspected Iranian agents and others from Iran’s ministry of intelligence and security. 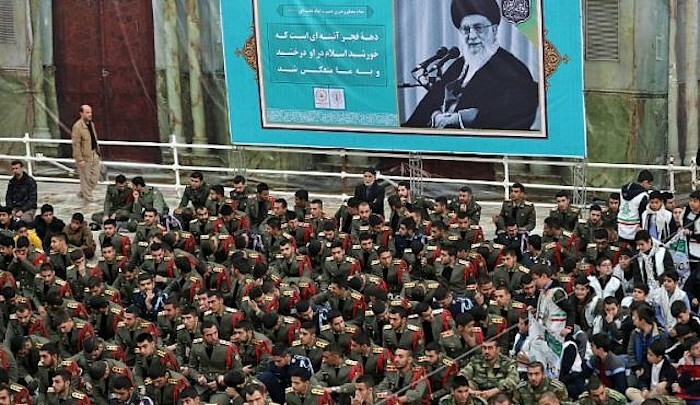 The French security services concluded that the head of operations at the Iranian intelligence ministry had ordered a plot to bomb a rally of the People’s Mujahedeen of Iran (MEK) opposition group in a suburb of Paris in June last year — which Tehran strongly denied…. The Dutch ministers said that at a meeting with Iranian officials “it was emphasised that the measures were not linked” to the Iran nuclear deal. “Nevertheless, Iran will be held to account for all matters that affect EU and international security interests…,” including the assassinations in the Netherlands in 2015 and 2017, the letter said. Dutch news reports had said Motamed was living in the Netherlands under a false name and is really Mohammad Reza Kolahi Samadi — the man behind the largest bomb attack in Iran in 1981. Last June, the Netherlands expelled two Iranian embassy workers in connection with the murders…. EDITORS NOTE: This Jihad Watch column with images is republished with permission. The featured photo is by Sara Kurfeß on Unsplash. Apparently “Palestine” is somewhere north of Cairo, but precision wasn’t what whoever did this was after. These two photos are a solid indication of what kind of Representative Rashida Tlaib is going to be: one who represents far-Left interests of stoking racial hatred, demanding entitlements, and vilifying U.S. ally Israel. Of course, no one has ever had any reason to suspect that she was going to do anything else. US Congresswoman Rashida Tlaib shines in a traditional Palestinian dress (Thobe) today as she prepares to be sworn in as the first congresswoman of a Palestinian origin.